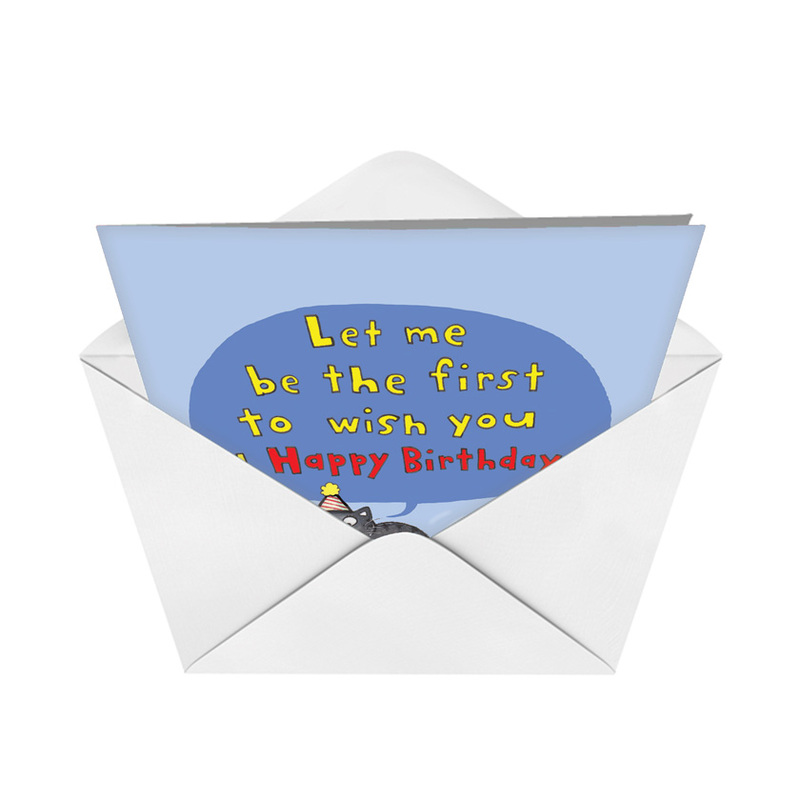 Cover Reads: Let Me Be The First To Wish You A Happy Birthday. 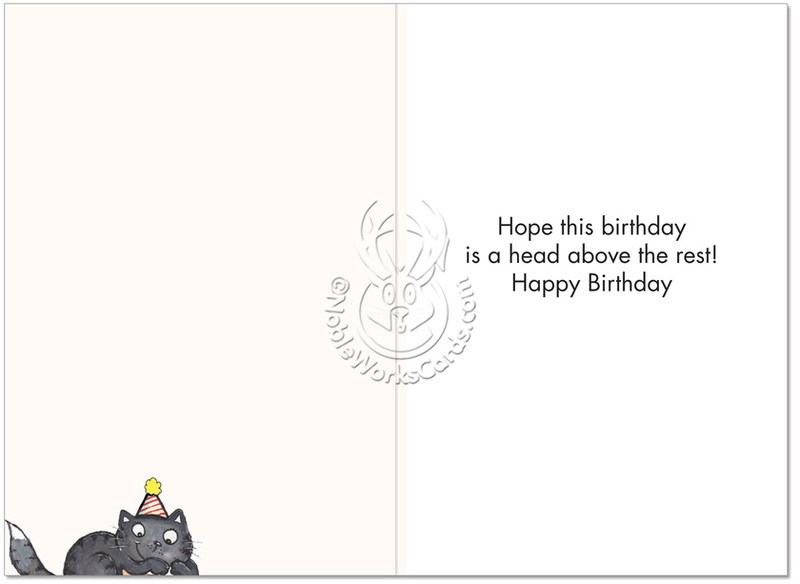 For cat lovers whose devotion to the popular pets extends to loving a feline on the face, the Cat on Head Birthday Funny Greeting Card available at NobleWorks Cards will have its recipients rolling on the floor with laughter. What better way to start a birthday than with a cat in the face, unless it's with the uproarious laughs generated by this card illustrated by Scott Nelson and printed in the U.S. on recycled card stock that's good for the environment. 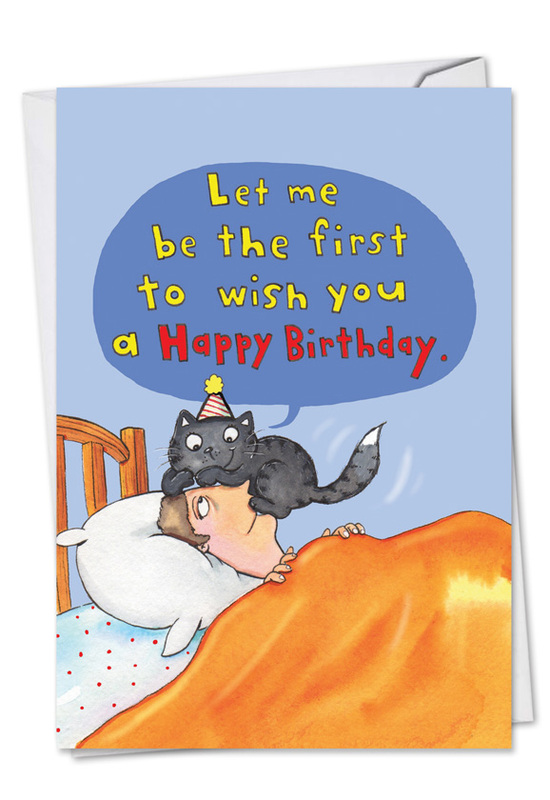 Load up the litter box with laughter with this clever and affectionate paean to felines. 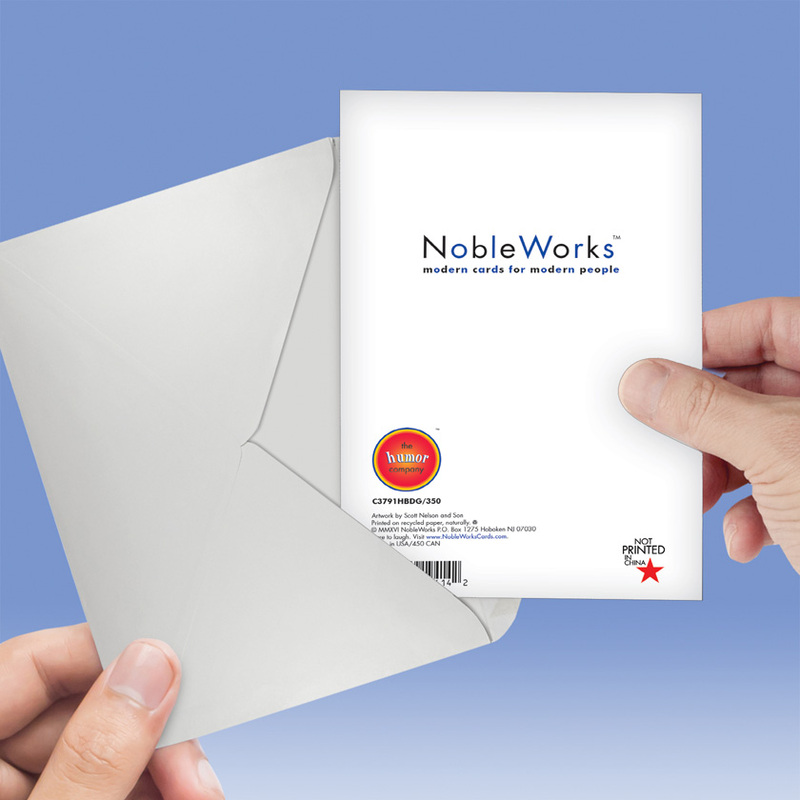 It is available with free shipping when you order from NobleWorks Cards, which provides special discount pricing on bulk orders. 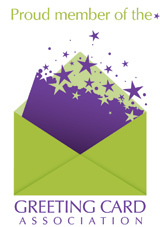 The more cards you order, the more money you can save.